You can easily connect up to your TV using the digital audio input. 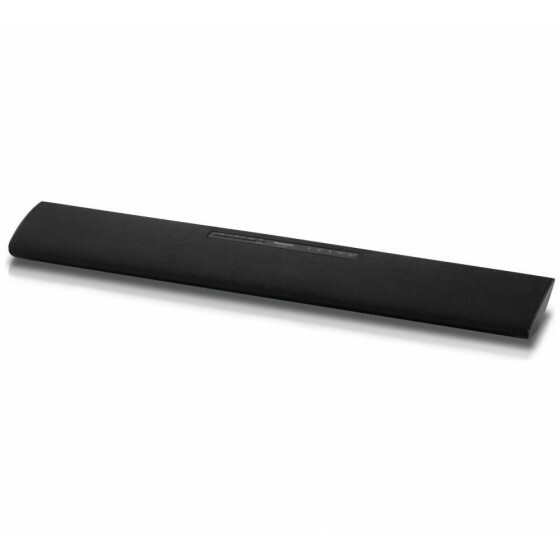 The Panasonic HTB8 80W sound bar will enhance your TV with multi-angle sound. Featuring Bluetooth compatibility, so you can also enjoy streaming music from your Smartphone with a truly dynamic sound. Total power output: 80 watts. Remote control batteries required 1 x button cell (not included) . Size of speaker bar H6.55, W75, D11.8cm.